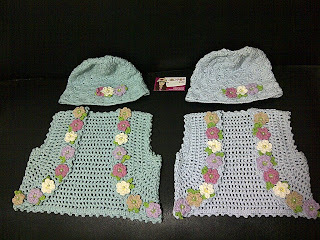 Now, a young girl, request this bolero and hat for her. I make this for teen size. 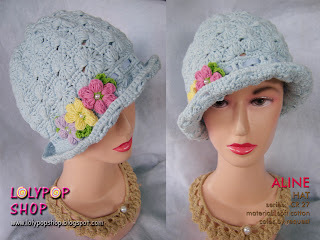 And tadaaa :) Very beautifull.. 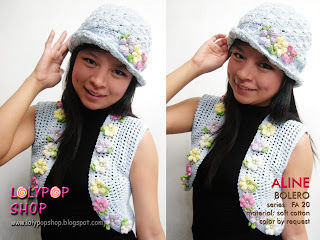 I love flowers accent on this bolero and hat. 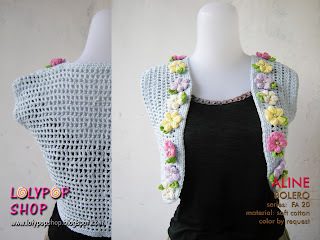 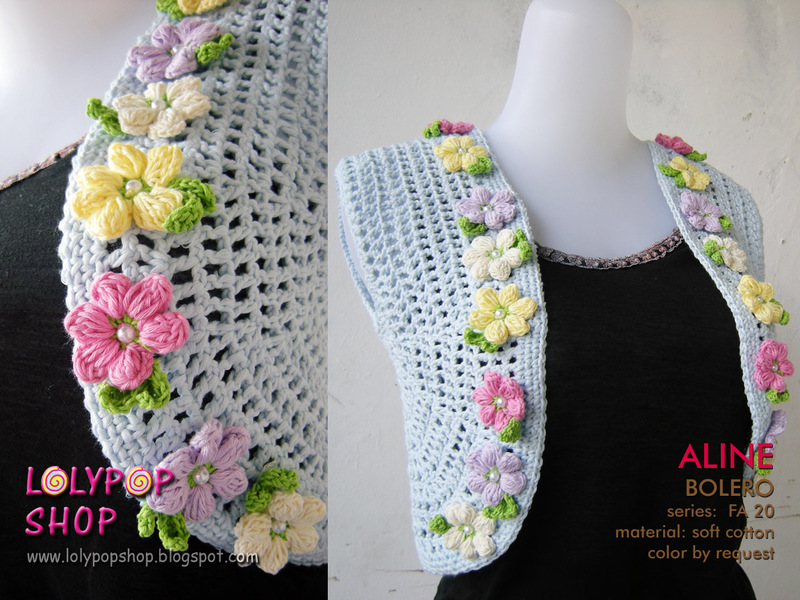 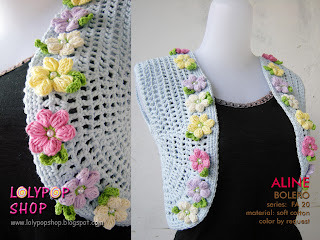 Besides that, I make twin boleros with for the sister!